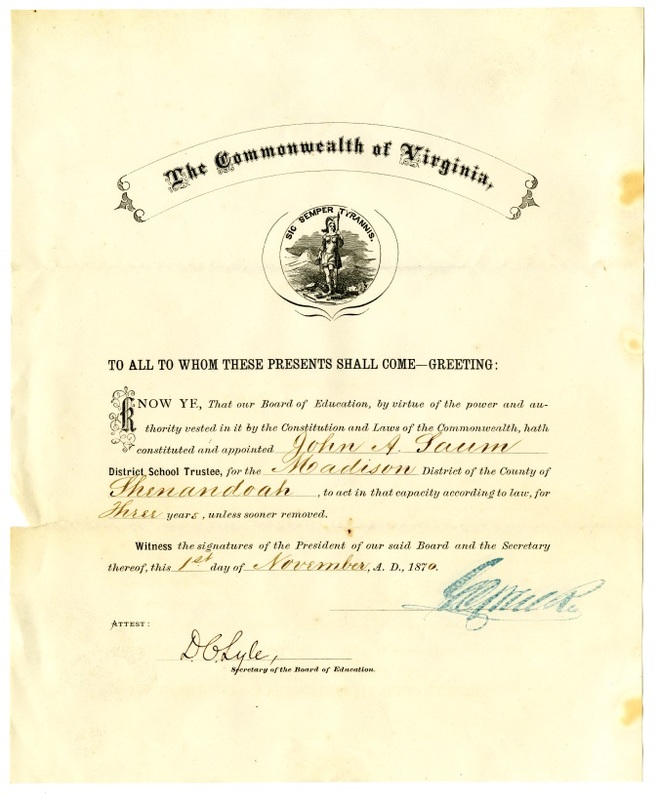 Document appointing John A. Saum a district school trustee for the Madison District in Shenandoah County dated November 1, 1870. Saum operated a hardware store and would provide the majority of the materials for the construction of the Cedar Hill Academy public high school in Edinburg Virginia. Folder 13: Edinburg Grade School, receipts for buildings and pupils, 1874-1876, Saum Collection, Truban Archives, Shenandoah County Library, Edinburg, Virginia. 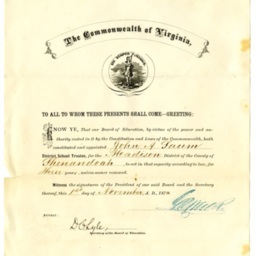 Virginia Board of Education, “School Trustee Appointment,” Shenandoah County Library Archives, accessed April 22, 2019, http://archives.countylib.org/items/show/11748.